My chosen profession as an author gives me the opportunity on almost a daily basis to read either praise or criticism in regards to my work. As you can imagine, some days I’m ecstatic and other days, not so much. Sometimes it can even depend on the hour. There are days I receive such overwhelming praise, it makes feel like I really know what I’m doing. Other days I feel like I’m in the pit of despair and I should give up writing altogether. Sadly, my mood on those days can be tied to the amount of stars I’ve received or the types of reviews I’ve been given. Basically, I’m letting virtual strangers tell me how I should feel about myself. I’ll be the first to admit, this is not a good way to live, and I’m working on not tying my self-worth to the praise or criticism of man. And really, who should I believe? On one hand, my critics have told me that a teenager could write better than me or I should be ashamed of myself. On the other hand, I’ve had people tell me I’m their favorite author and they’ll buy anything I write, or they comment how well written my books are, or even that I’ve written the best book ever. I’ve read so many fantastic books that I know I haven’t written the best book ever, but maybe to that person it is. Bless them. You see where the problem lies? So what can I do? Or what can any of us do? I know I’m not the only one who deals with insecurities or self-worth issues. Sister Patricia Holland stated – We often worry so much about pleasing and performing for others that we lose our own uniqueness, that full and relaxed acceptance of ourselves as a person of worth and individuality. This quote really struck home. Again, going back to my profession: So not only do I read my reviews on a daily basis, but I have made the mistake of reading the comments left on the negative reviews. One particular negative comment was made on the first book in one of my series. I was, and am, working on the second book in that series. When I came upon this comment, it literally stopped me in my tracks. It made me question the direction I was taking and made me wonder if I should even continue. Was I happy with how the book had been coming up to that point? The answer was yes. So why did the opinion of a couple of people suddenly make me doubt all of my hard work? Fear? Yes. Worry? Yes. Feelings of inadequacy? YES! With every book I release, I feel like this is the one where people are going to finally figure out I have no idea what I’m doing. And whereas that may be true, I do love what I do. I’m successful at what I do. 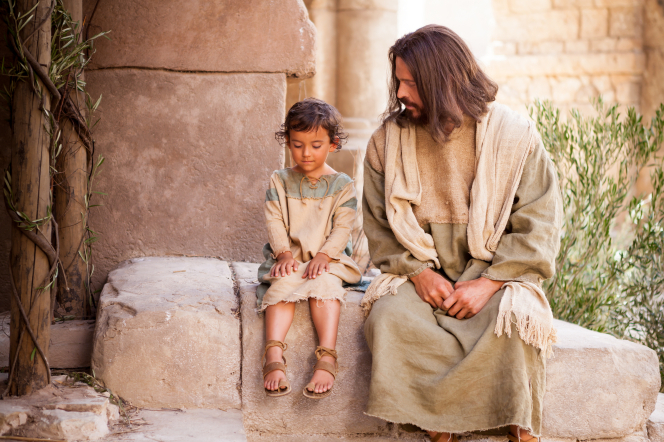 How would we feel about ourselves if we loved ourselves as our Savior loves us? Our Savior that felt we were worth dying for. Think about that. Believe me, I don’t have all the answers, but this I know: the worth of souls is great in the sight of God. That means my soul and your soul. Do we all have things to work on and improve? Yes, of course, but we should never let anyone rob us of our self-worth. Our self-worth was bought and paid for many years ago. That Buyer still loves us more than we can comprehend and feels we are worth his infinite sacrifice. I would like to leave you, and myself, the following counsel given by Jeffrey R Holland in his talk titled, To Mothers and Daughters – You can’t live your life worrying that the world is staring at you. When you let people’s opinions make you self-conscious you give away your power … The key to feeling [confident] is to always listen to your inner self – [the real you]. And in the kingdom of God, the real you is more precious than rubies. You don’t know how much I love this quote! Thank you! Great reminder, Jennifer. It’s funny how our fears make us do different things. My fear keeps me from reading any reviews on my books so I don’t know of the negative. I read one in the beginning, and it was paralyzing for a while…so I quit. I’m definitely in the “You’re a great writer” camp. But regardless of who likes or dislikes you, you are amazing! We all are since we’re God’s children. I appreciate at that more than you know. I want to know your secret on how to not read reviews. I’ve weaned myself off of Goodreads because it was seriously sucking all the joy out of writing, but I don’t ever think I will be able to stay off of Amazon. It’s become a time issue for me. I have so many other things sucking my time, that going to Amazon to read reviews would be just one more pebble I can’t fit into my jar. And since I’ve proven how sensitive I am to negative reviews, I guess I’m not missing too much in case more of those come in (which I hope don’t.) But think of the Punchinello story. You don’t need the stars or the dots on your forehead to know you’re awesome. You already know you’re creative and have great stories because you love them. I thought of that story as I wrote this blog! Thank you, Jennifer. It took me awhile to realize I was judging my self worth in a similar manner, even letting my reviews decide my mood for the day. Bad reviews really get in my head and paralyze me from writing more. I’m learning to let it go and return to my writing because I love writing. If I try to write to please everyone, it doesn’t go well–and if I’m not enjoying the process, then why do it? Thanks for this wonderful reminder of our worth. I needed it. I’m the same way. I found myself thinking of all the things people won’t like as I wrote. It is stifling.